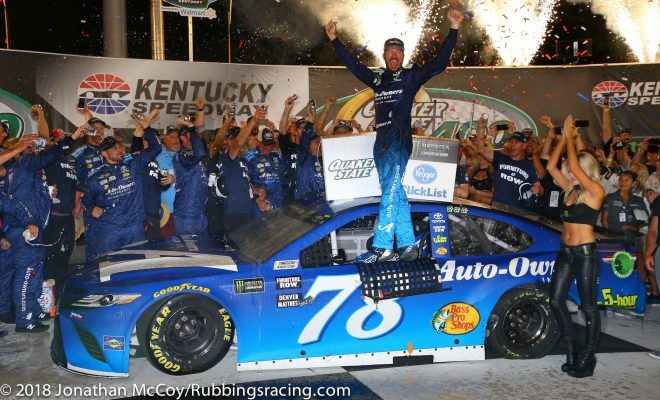 (via NASCAR Wire Service) SPARTA, Ky. – Martin Truex Jr. made it a clean sweep at Kentucky Speedway this weekend. Larson had an adventure-filled path to a ninth-place finish in the Chip Ganassi Racing No. 42 Chevrolet. He started at the rear of the field after missing driver introductions, then had a lengthy stop in the final stage to address a track-bar ise.